Adolescents and young adults (including college-aged patients) with eating or feeding disorders are most effectively treated with family involvement. Our adolescent programming includes a multidisciplinary team and use of Maudsley Family Based Treatment (FBT) to aid in targeted resolution of eating disorder symptoms. FBT includes family sessions with a therapist and the parents/caregivers and child. FBT has three phases. 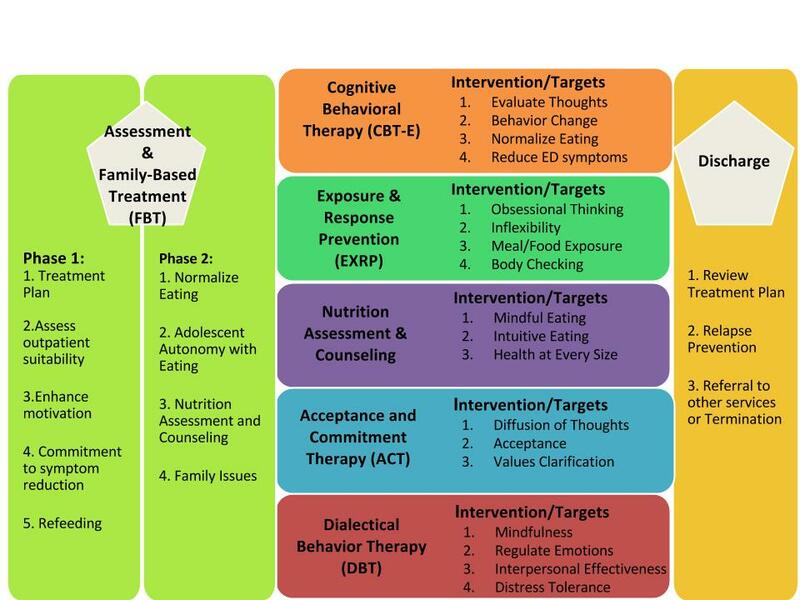 Phase 1 focuses on weight restoration, Phase 2 targets adolescent management of food and eating, and Phase 3 addresses adolescent and family issues (e.g., communication, applying limits, etc). Our multidisciplinary team of mental health professionals, medical practitioners, and registered dietitian services provide the ideal treatment team for child & adolescent eating and feeding disorders treatment.